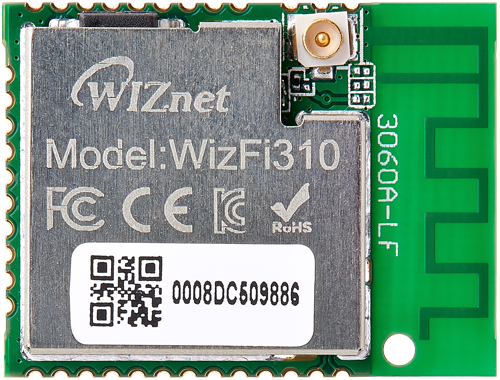 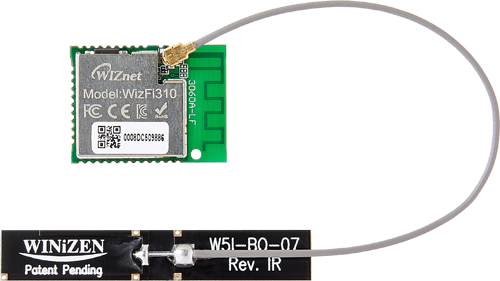 WizFi310 | WIZnet Co., Ltd.
WizFi310 offers a quick, easy, and cost-effective way for device and appliance manufacturers to add WiFi capabilities to their products. 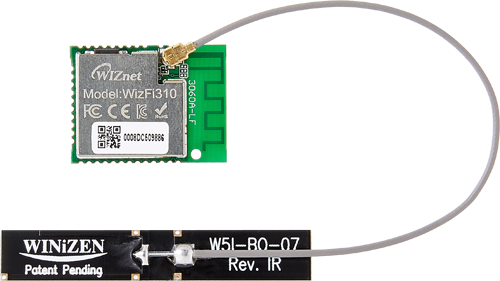 WizFi310 provides UART interfaces which enable connections to any embedded design utilizing an 8/16/32-bit microcontroller via simple AT commands. 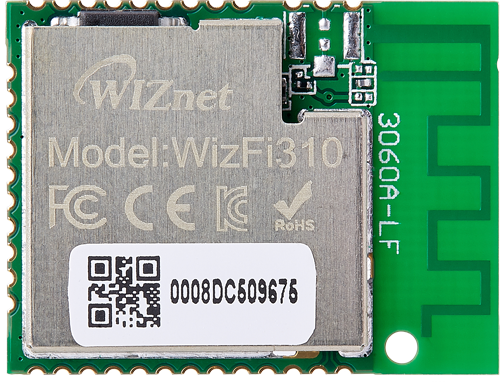 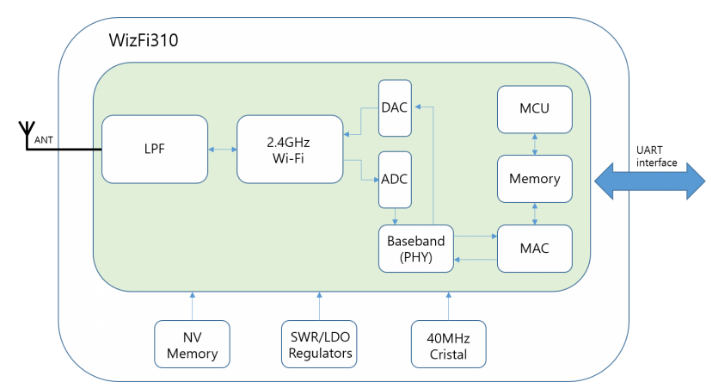 WizFi310 is an ideal solution for organizations with limited or no WiFi or RF expertise, as it is not only reduces RF design time but also removes the burden on testing and certification. 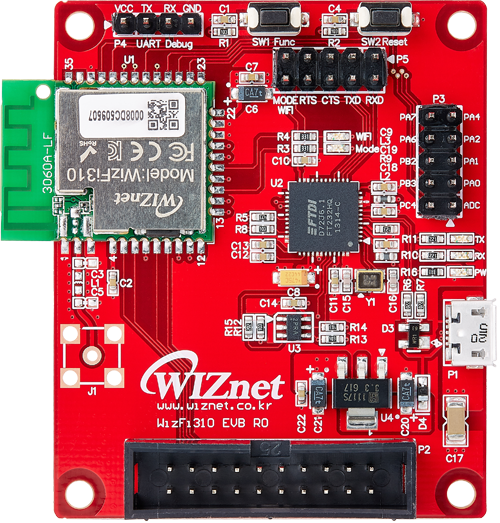 This allows customers to focus on their core application and product development .